When you read about bankruptcy you are very likely to see quite of bit of carrying on about stopping garnishment, stopping foreclosure, ending harassment from creditors, stopping those nasty phone calls, and in general making the debts just go away. Bankruptcy tends to be good for all those things. You may not see as much about getting judgments cleared from your record, however, because the discharge of your debts from the bankruptcy court does not automatically do that. The bankruptcy court discharge is an order from a bankruptcy judge which eliminates most personal liability for unsecured debts. It contains among other things an order addressed to your creditors requiring that they make no further collection efforts. It just requires the creditors to stop. For the most part, it doesn’t require the creditors to take any other action. One of the things it does not require is that they file a satisfaction of judgment with the state district court if they have a judgment against you. So when your bankruptcy is done, the creditors will leave you alone. You won’t hear from them again. If the creditor has a judgment against you, the creditor is prohibited from trying to collect anything on the judgment. But the judgment itself just sits there and continues to be a matter of public record just as it was before the bankruptcy. Most of the time for most people that is a big “SO WHAT?” As long as the creditor is paralyzed and can’t collect, who cares whether the judgment is still on the record? After all, the judgment will expire when it is ten years old, and the bankruptcy discharge definitely prevents the creditor from renewing the judgment before it expires. But sometimes a lender will care if you are trying to get a mortgage or refinance an existing mortgage. In certain odd instances an employer or future employer might care too – judgments don’t look the best on a background check. “548.181 DISCHARGE OF JUDGMENTS AGAINST BANKRUPTCY DEBTORS. A judgment debtor who has received a discharge under United States Code, title 11, or an interested party, upon paying a filing fee of $5 for each judgment, may apply to the court administrator of any court for the discharge of all judgments entered in that court against the judgment debtor that were ordered discharged by the bankruptcy discharge. An application under subdivision 1 must identify each judgment to be discharged, must be accompanied by a certified copy of the judgment debtor’s bankruptcy discharge or a certificate by the clerk of the United States Bankruptcy Court of the discharge, must state the time the judgment creditor has to object as specified in subdivision 3 and the grounds for objection as specified in subdivision 4, must be served at the expense of the applicant on each judgment creditor either:(1) in the manner provided for the service of a summons in a civil action and must be accompanied by an affidavit of service; or(2) by certified mail to the judgment creditor’s last known address as it appears in the court record, and must be accompanied by an affidavit of mailing. The court administrator, without further notice or hearing, shall discharge each judgment except a judgment in favor of a judgment creditor who has filed an objection to discharge of the judgment within 20 days after service of the application on the judgment creditor. An objection to discharge of a judgment must be served on the judgment debtor in the same manner as an answer in a civil action. Upon receipt of a filing fee of $5, the court administrator shall certify to the judgment debtor or other interested party the judgments against a person that have been discharged by the administrator. That looks pretty easy doesn’t it? Well, IT’S NOT AS EASY AS IT SEEMS. Here’s the catch. Even though the law clearly states that the filing fee is only $5.00, Hennepin County has started charging a regular district court filing fee of $324 as well as the $5.00. As far as I know, they are the only county in the state that is doing that, but don’t be surprised if you run into it in some other county. I expect that the idea is going to spread. You have to pay one filing fee per judgment, so if you have a lot of judgments to get rid of this could really run into money. It’s probably a violation of law for them to be doing this, but for a few hundred dollars nobody so far has been able to afford to challenge it. Around the year 2000 the court clerks across the state came up with forms and instructions for this that are available to the public. Since then nobody has hired me to do this procedure. You definitely need a lawyer to do the bankruptcy itself, but once the bankruptcy is completed most people can do this judgment discharge application themselves. 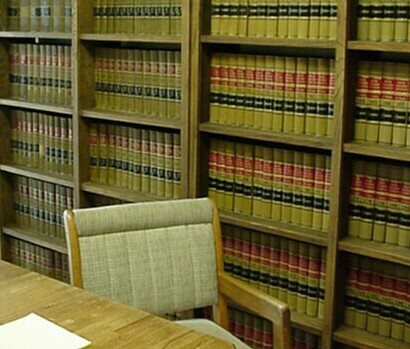 This post is for general information purposes only and does not create an attorney-client relationship. It is not legal advice. 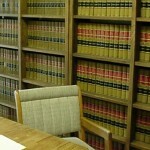 It is recommended that you consult the attorney of your choice concerning the details of your case. It’s that time of year again. Every October the bankruptcy section of the Minnesota State Bar Association puts on a two day continuing legal education program for the bankruptcy attorneys of the state. Unlike the meetings of the National Association of Consumer Bankruptcy Attorneys, to which I also belong, these sessions include lawyers for the creditors as well as lawyers for the debtors. There were multiple classees to choose from, and nobody could attend them all without the ability to be in more than one place at the same time. First I attended a really boring session about amendments to the bankruptcy rules of procedure. Boring but important. I hate it but I need to know that stuff. There was then a sessioabout law office technology, where they had a geek who frankly I had trouble following. I think his presentation was aimed at law offices larger than what I operate. The big excitement for the day, however, was the session on lien stripping. As we filed in and found a place to sit, they were playing an old hit, “The Stripper,” over the sound system. That lightened things up a bit. Following the disappointment with the decision in the Fisette case, to which I have devoted an earlier post, the big question is where does lien stripping go from here. It seems that the rules committee has finished work on a new local rule of procedure which outlines a proposed procedure for doing lien stripping in the District of Minnesota. The rule has now been presented to the judges for consideration. As they consider the rule, I expect they will ask for comments. The new rule seems to assume that lien stripping will be legal in Minnesota, which of course is still undecided – at least not decided permanently and for good. In my opinion the procedure will eventually become legal and common, but right now I’m still not sure what to make of it. The proposed lien strip rule will require a motion prior to the confirmation of the Chapter 13 plan asking the court to issue an order establising the value of the home as compared to the amounts owing on the mortgage liens. This motion requirement appears to be an invitation to a fight with the lender and the lenders’ lawyers. I’m not absolutely sure, but the impression I have is that the bankers’ and lenders’ lawyers on the committee outnumber the consumer bankruptcy lawyers on the committee, so that the proposed rule is coming out leaning way in the direction of the bankers. If this rule is approved, it appears to me that it would make the procedure more risky and more expensive than what most of us were anticipating. After the lien strip session I attended a session on how to prepare one’s law practice for a disaster, and another sessin about reaffirmation agreements. So that’s what I learned in school today. How Much Will You Lose if You Don’t File Bankruptcy? Nearly every day I am asked how much it costs to file bankruptcy. Here I turn the question around and ask – assuming that you already know that you qualify for bankruptcy – how much is it costing you to not file. So often when someone comes to my office, the story I hear involves the loss of things we could have saved if the bankruptcy had been done sooner. In the past few months I have seen all the situations I am about to list here:Large tax refund used to try and get caught up on debts, but it wasn’t enough. Use of home equity line of credit to pay unsecured debts. What this does is take perfectly good equity in the home, which in bankruptcy would have been exempt, and squander it on unsecured credit card debt. Even after maxing out the home equity line of credit, the credit card debt is still to high to manage. Had a bankruptcy been filed sooner, the debts could have been eliminated and the equity in the house saved. Mortgage payments stopped so credit card payments, or medical bill payments, can be made. The bill collectors for the credit cards – and lately those for the medical providers too – will often be a lot more agressive than those for the mortgage company. In this scenario, people allow themselves to be pressured into paying credit card or medical bill payments before they make their mortgage payment. The mortgage falls so far behind that foreclosure is started. The mortgage is now too far behind to ever be brought up to date, and the house will be lost. A bankruptcy before things got this far would have eliminated the medical bills and credit card debt and saved the house. Large loans from relatives for payment of credit card debt. When a job is lost or a medical problem arises, many of us have wonderful relatives who are willing to help – financially. Often this kind of help will come from a parent. It’s not unusual for loans from relatives to exceed $20,000 – accumulated a little at at time. This will sometimes continue until the relative is tapped out and can’t lend anymore. The money from the relative was not enough to bring the debts under control. A bankruptcy filed sooner could have saved Mom’s or another relative’s savings account. Bankruptcy not considered until wage garnishment actually begins. Filing bankruptcy is not like buying a can of beans at the grocery store. It’s not even like going to your accountant or to H&R Block to file your taxes. It’s not just a matter of one session in the lawyer’s office. Typically it takes me six to eight weeks to have a case prepared for filing. If I rush it, maybe I can shorten that to three or four weeks – or not. Until the case is filed, the wage garnishment continues. There goes one or two months of take home pay. My office is the right place to deal with these and similar problems, but there are many, many times I wish my client would have come in sooner. This is for general information purposes only, is not legal advice, and does not create and attoney-client relationship. My office is a debt relief agency, helping people file for relief under the federal bankruptcy code.